^ "Drug Abuse Control Amendments of 1965". NEJM. 273 (22): 1222–1223. 25 November 1965. doi:10.1056/NEJM196511252732213. Officers of the Food and Drug Administration, aware of the seriousness of the problem, estimate that approximately half the 9,000,000,000 barbiturate and amphetamine capsules and tablets manufactured annually in this country are diverted to illegal use. 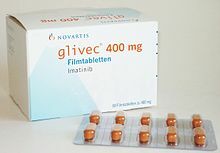 The profits to be gained from the illegal sale of these drugs have proved an attraction to organized crime, for amphetamine can be purchased at wholesale for less than $1 per 1000 capsules, but when sold on the illegal market, it brings $30 to $50 per 1000 and when retailed to the individual buyer, a tablet may bring as much as 10 to 25 cents. ^ Ii, Thomas H. Maugh (13 April 2005). "Maurice R. Hilleman, 85; Scientist Developed Many Vaccines That Saved Millions of Lives - Los Angeles Times". Los Angeles Times. ^ Insull W (January 2009). "The pathology of atherosclerosis: plaque development and plaque responses to medical treatment". The American Journal of Medicine. 122 (1 Suppl): S3–S14. doi:10.1016/j.amjmed.2008.10.013. PMID 19110086. Retrieved 20 June 2009. ^ Gaddam KK, Verma A, Thompson M, Amin R, Ventura H (May 2009). "Hypertension and cardiac failure in its various forms". The Medical Clinics of North America. 93 (3): 665–80. doi:10.1016/j.mcna.2009.02.005. PMID 19427498. Retrieved 20 June 2009. ^ Agabiti-Rosei E (September 2008). "From macro- to microcirculation: benefits in hypertension and diabetes". Journal of Hypertension. 26 (Suppl 3): S15–21. doi:10.1097/01.hjh.0000334602.71005.52. PMID 19363848. Retrieved 20 June 2009. ^ Murphy BP, Stanton T, Dunn FG (May 2009). "Hypertension and myocardial ischemia". The Medical Clinics of North America. 93 (3): 681–95. doi:10.1016/j.mcna.2009.02.003. PMID 19427499. Retrieved 20 June 2009. ^ White WB (May 2009). "Defining the problem of treating the patient with hypertension and arthritis pain". The American Journal of Medicine. 122 (5 Suppl): S3–9. doi:10.1016/j.amjmed.2009.03.002. PMID 19393824. Retrieved 20 June 2009. ^ Truong LD, Shen SS, Park MH, Krishnan B (February 2009). "Diagnosing nonneoplastic lesions in nephrectomy specimens". Archives of Pathology & Laboratory Medicine. 133 (2): 189–200. doi:10.1043/1543-2165-133.2.189 (inactive 15 March 2019). PMID 19195963. Retrieved 20 June 2009. ^ Aronow WS (August 2008). "Hypertension and the older diabetic". Clinics in Geriatric Medicine. 24 (3): 489–501, vi–vii. doi:10.1016/j.cger.2008.03.001. PMID 18672184. Retrieved 20 June 2009. ^ Gardner AW, Afaq A (2008). "MANAGEMENT OF LOWER EXTREMITY PERIPHERAL ARTERIAL DISEASE". Journal of Cardiopulmonary Rehabilitation and Prevention. 28 (6): 349–57. doi:10.1097/HCR.0b013e31818c3b96. PMC 2743684. PMID 19008688. Retrieved 20 June 2009. ^ Novo S, Lunetta M, Evola S, Novo G (January 2009). "Role of ARBs in the blood hypertension therapy and prevention of cardiovascular events". Current Drug Targets. 10 (1): 20–5. doi:10.2174/138945009787122897. PMID 19149532. Retrieved 20 June 2009. ^ Cafe, Rebecca (4 December 2011). "BBC News - How the contraceptive pill changed Britain". BBC News. ^ Endo, Akira (2004). "The origin of the statins". International Congress Series. 1262: 3–8. doi:10.1016/j.ics.2003.12.099. Archived from the original on 20 March 2008. ^ Matthew Harper (10 February 2012). "The Truly Staggering Cost Of Inventing New Drugs". Forbes. ^ IMS Health (18 June 2015). "Are European biotechnology companies sufficiently protected?". Portal of Competitive Intelligence. ^ Bhandari M, Busse JW, Jackowski D, Montori VM, Schunemann H, Sprague S, Mears D, Schemitsch EH, Heels-Ansdell D, Devereaux PJ (17 February 2004). "Association between industry funding and statistically significant pro-industry findings in medical and surgical randomized trials". Cmaj: Canadian Medical Association Journal = Journal de l'Association Medicale Canadienne. 170 (4): 477–480. Retrieved 24 May 2007. ^ "Electronic Orange Book". U.S. Food and Drug Administration. Retrieved 31 May 2007. ^ "The Orphan Drug Act (as amended)". U.S. Food and Drug Administration. Retrieved 24 September 2007. ^ Herper, Matthew & Kang, Peter (22 March 2006). "The World's Ten Best-Selling Drugs". Forbes. Retrieved 31 May 2007. ^ Julia Kollewe (27 March 2014). "World's 10 bestselling prescription drugs made $75bn last year". the Guardian. ^ "IMS Health Forecasts 5 to 6 Percent Growth for Global Pharmaceutical Market in 2007". IMS Health. 24 October 2006. Retrieved 19 June 2007. ^ "New Drug Approvals in 2006" (PDF). March 2007. Archived from the original (PDF) on 28 February 2008. Retrieved 23 February 2008. ^ "Assessment of Authorized Generics in the U.S" (PDF). IMS Consulting. June 2006. Archived from the original (PDF) on 28 February 2008. Retrieved 23 February 2008. ^ Kaufman, Marc (6 May 2005). "Merck CEO Resigns as Drug Probe Continues". Washington Post. Retrieved 23 May 2007. ^ "Drug Lobby Second to None: How the pharmaceutical industry gets its way in Washington". publicintegrity.org. 7 July 2005. Retrieved 23 May 2007. ^ "UK parliamentarians put the pharma industry under the spotlight". European Public Health Alliance. Retrieved 23 May 2007. ^ Buchkowsky, SS; Jewesson, PJ (April 2004). "Industry sponsorship and authorship of clinical trials over 20 years". Ann Pharmacother. 38 (4): 579–85. doi:10.1345/aph.1D267. PMID 14982982. ^ Tungaraza, T; Poole, R (July 2007). "Influence of drug company authorship and sponsorship on drug trial outcomes". Br J Psychiatry. 191 (1): 82–3. doi:10.1192/bjp.bp.106.024547. PMID 17602130. ^ Lipton, Eric; Thomas, Katie (29 May 2017). "Drug Lobbyists' Battle Cry Over Prices: Blame the Others". New York Times. Retrieved 30 May 2017. ^ "Department of Justice". Department of Justice. 19 March 2015. ^ Thomas, Katie; Schmidt, Michael S. (2 July 2012). "GlaxoSmithKline Agrees to Pay $3 Billion in Fraud Settlement". The New York Times. ^ "GlaxoSmithKline to Plead Guilty and Pay $3 Billion to Resolve Fraud Allegations and Failure to Report Safety Data". 2 July 2012. ^ "Abbott Labs to Pay $1.5 Billion to Resolve Criminal & Civil Investigations of Off-label Promotion of Depakote". 7 May 2012.